Valet parking is available at all times at no extra cost. Le Grand Salon: Private dining room for a maximum of 36 people. Le Petit Salon: Private dining room for a maximum of 8 people. In the gourmet world of Le Continental, traditional cuisine is classical. Enjoy the perfect service, the great flambéed dishes that pay tribute to the delicious French cuisine. The Continental's wine cellar is most impressive with its board of famous selection of French, Italian and American wines. It offers a choice of more than five thousand bottles, four hundred different varieties from Grands Crus classés to affordable prices. Our waiter was great. The food was traditional French and very good. Quite a few menu items are prepared table side and the waiters are very proficient at this. The wine list is extensive and includes some very expensive bottles. I suspect that this is the sort of restaurant where the menu, the food and the service are very predictable. This is in contrast to other restaurants which change the menu based on what is seasonal, etc. We had a lovely meal. Cuisine française avec des plats classiques bien exécutés. Service attentionné et courtois. Toujours une belle visite en sachant que nous ne serons pas déçus. Pour les amoureux des plats traditionnels servis au guéridon et flambés, c’est un des rares restaurants à vous l’offrir. Spectacular. Was sent here from the Parts Unknown episode and didn't disappoint. Split the Flambe Shrimp for an app and had the Fillet Mignon as the main while my partner had the peppercorn steak. Would recommend to all my friends. A veritable jewel. A dining experience rarely available in today’s world of glass and chrome. Dining here is indeed, an experience. LC recalls great memories for me of grand dining, rarely available today. 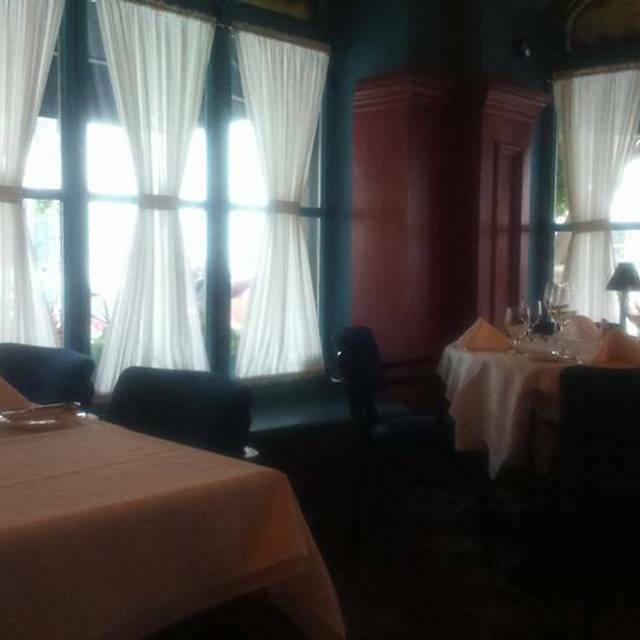 Yet, Le Continental is very relevant today, offering a chic, elegant, and completely comfortable dining experience. One feels at home the minute you enter the door given the warm and gracious service extended by the entire staff. I will never visit Quebec without visiting Le Continental. Bravo! Restaurant dans la grande tradition de ce qui se fait de mieux en cuisine française. Accueil digne des rois, service impeccable, plats succulents et à point. Les pièces de viande sont des meilleures coupes, viellies à merveille et d'une tendreté exceptionnelle. Je le recommande fortement à quiconque veut vivre une expérience hors de l'ordinaire. Le seul bémol vient de l'addition (qui, contrairement à la nourriture, est très salée ! ), mais cela en vaut le coup (et le "coût") et fait partie de l'aventure ! A classic in Québec City. A little expensive but the service and food are both exceptional. True French cuisine at its best! Beautiful gem in Quebec City. french classics meticulously prepared tableside, made all the more amazing by flames and dazzling technique. our waiter/chef, matthew was a delight, and even though he wore a white tuxedo and bow tie, fussed over our 6 year old son and made sure he was included in the evening... something a lot of multi-starred restaurants could do well to emulate. a great meal! Wonderful table side service. Food was excellent! 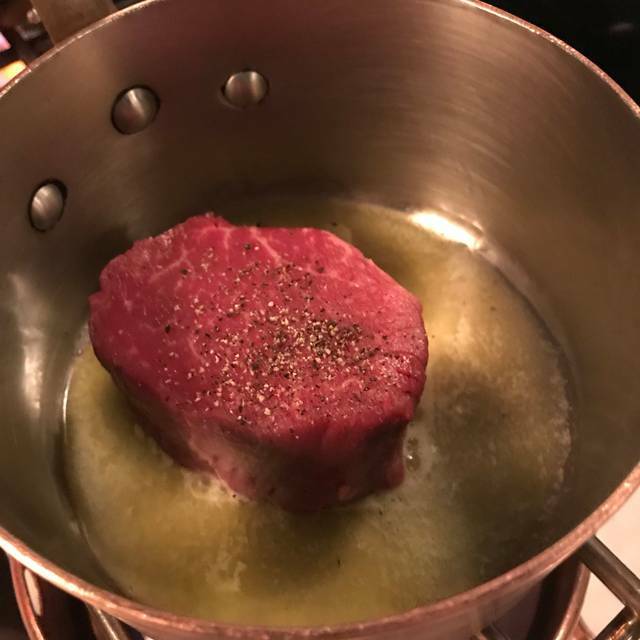 Had the filet mignon which was done to perfection. The reason we would not recommend is simply the cost. 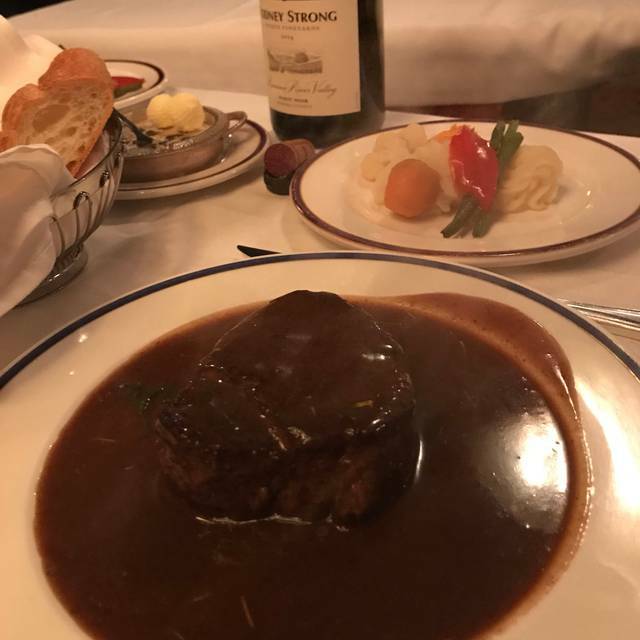 The service and ambiance were top-notch, but with a bill of nearly 350, 00 $ (before gratuity), the food should also be outstanding. Foie gras is a rarity for us, and the presentation and accompaniments were not very exciting. 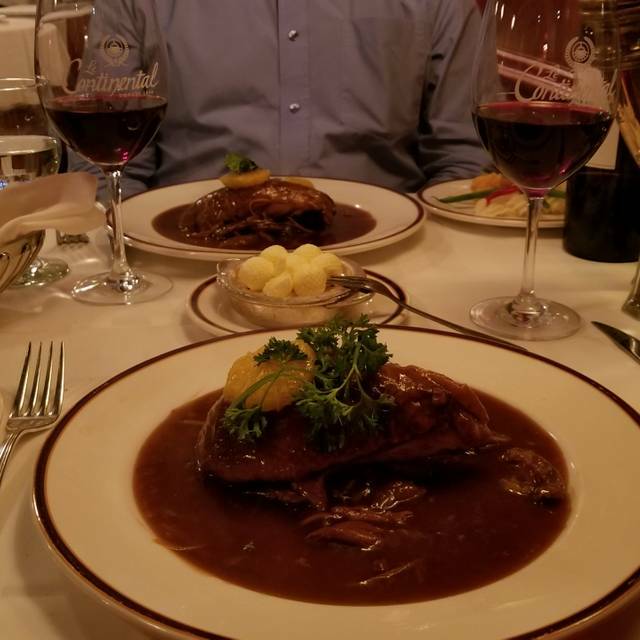 The duck and dessert were lovely, but given the opportunity, we would opt for a restaurant with less service, and a more modern approach to the food. 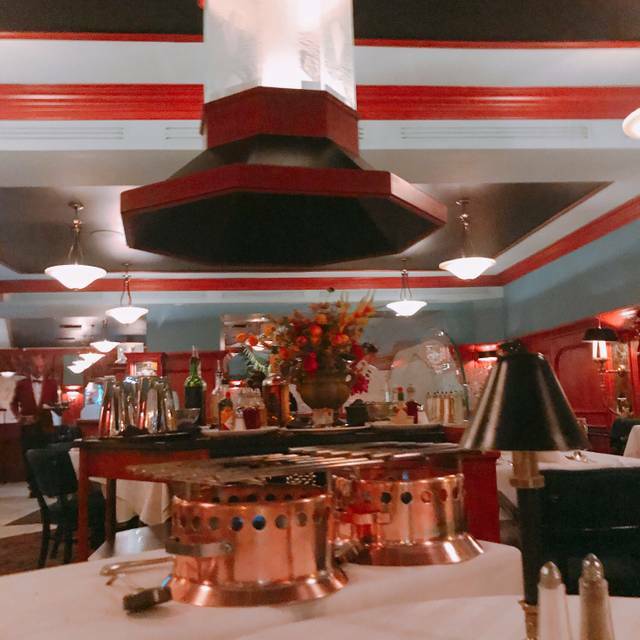 Perhaps that is just our taste, and it was admittedly our first experience with table-side flambée. Thank-you kindly for your interest. Absolutely one of the best meals I've had. Just be prepared to pay for quality. Wonderful service. Great food. Perfect mix of local ingredients and French flair. This is a fantastic dining experience as you have your own personal chef prepare the meal table side. Our server was outstanding and explained every part of what he was doing. Meanwhile the other servers were like a well choreographed routine as they provide the necessary items and cleaned up. Wonderful evening which we hope to experience again. A wonderful experience. Food and service are superb. You will not find this kind of restaurant anywhere else.Highly recommended. Amazing meal with fantastic service and a table side flambé!! Prompt service with formal yet cordial atmosphere. Will visit again. What was prepared at our tables was surpurb. What came from the kitchen was not. The side plate of potatoes and vegetables were cold. Wine was relatively priced to other restaurants. The service and attention was a real treat and will be remembered as a special night. Crepe suzette is IMO the best dessert item on the menu. The food quality may be comparable to other establishments but the servi e and expérience à not compete anywhere. This was perhaps one of the finest steaks I’ve ever had. We thoroughly enjoyed ourselves. There are a lot of great restaurants in the area of the continental but if your looking for a great fine dining experiance this would be my #1 choice. The food was excellent and the waiter/chef seemed to serve your every need without hovering. Service was impressive. Had the mustard Steak served flambe tableside which was an amazing experience. Highly recommend! Wonderful service and ambience with a dish worth the price. Will come back again! What an experience! The wine list was great, we had two bottles of Chateau Gaillard Bordeaux which complimented the meal nicely. Three of us had steak, one had the lamb - all delicious. The cherries jubilee was also very good. The best part of the dining was the geridon service at the table. It was amazing having the food prepared right there no smoke, fumes, mess etc. Wait staff was incredible. 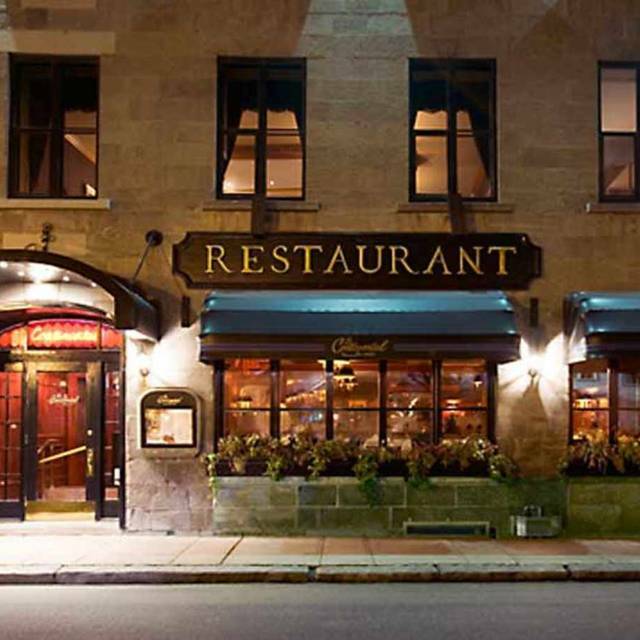 We wanted to do a night out experiencing the amazing food that Quebec City old town has to offer and was not disappointed. Fro. The time we walked in the services was friend,y and they did not rush you at all. Our table was ready at arrival and we could dine as long as we wanted. We had multiple servers all very knowledgeable on the food and wine/cocktails they offer. Staff was very friendly and they want you to enjoy your experience. This was the best food and cocktails we had in Quebec City although pricey, it was well worth it. We will go back anytime and very much worth experiencing if you are in town. The one thing I would call out is the dress code says casual, but most people we saw were dressed with business attire or better. One of our best dining experiences ever! We came here because we saw an episode of Anthony Bourdain where he ate at this restaurant. It really was amazing, French cooking at its finest! We started with Ceasar salad for two and then the Filet Mignon was out of this world as was the Langoustine Newburg! Oh and we ended with Cherries Jubilee, which was a delicious sweet treat. If you are ever in Quebec City you must dine here! Travel to Quebec every NewYears and that is with out a doubt our favorite fine dining restaurant!!! One of the best meals I have had in a long time! We had a wonderful evening at Le Continental. The wait staff was fantastic - attentive, provided excellent descriptions of the menu items, and made sure we steered clear of dishes made with items for which we had food allergies. A perfect night! We had an incredible dinner at Le Continental. My husband and I both had the filet Mignon and the Caesar salad. Both were made table side and were unbelievable. Our waiter Kevin, was knowledgeable and very friendly. Definitely a must visit restaurant if you are in Quebec City. Excellent classic food and fun to watch them prepare tableside. 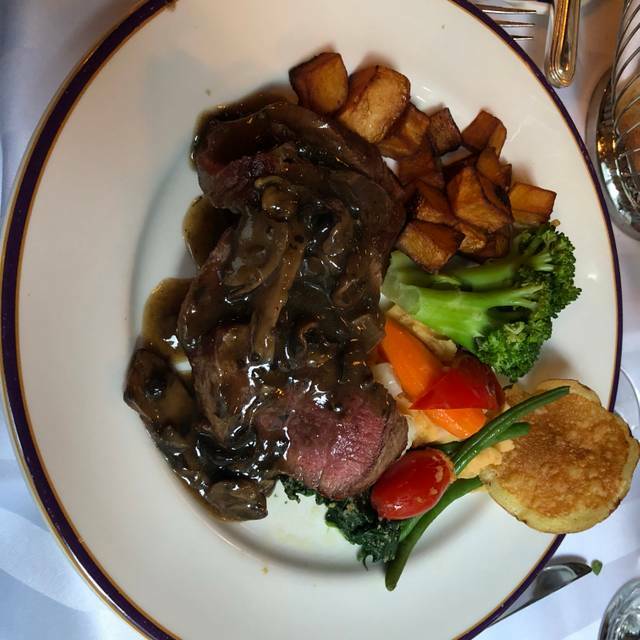 We had the Caesar salad, vegetable soup, foie gras, beef tartar, filet mignon, seafood Newberg, and crepes Suzette. My 8-year son said the dinner was a highlight of our trip to Quebec City! Highly recommend. We were here 20 years ago for our wedding dinner after eloping to Quebec. It was worth the wait! Truly a trip down memory lane as virtually nothing has changed! Which is a good thing! 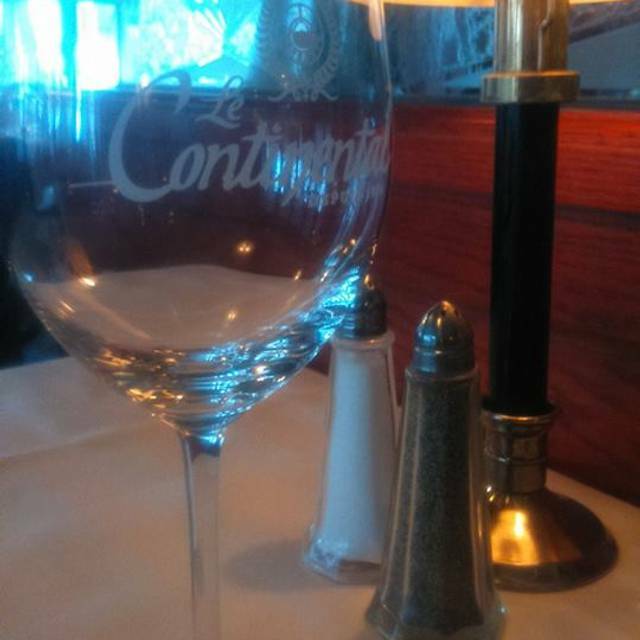 Le Continental is an institution and an icon that screams “old school” and “old world” charm!! 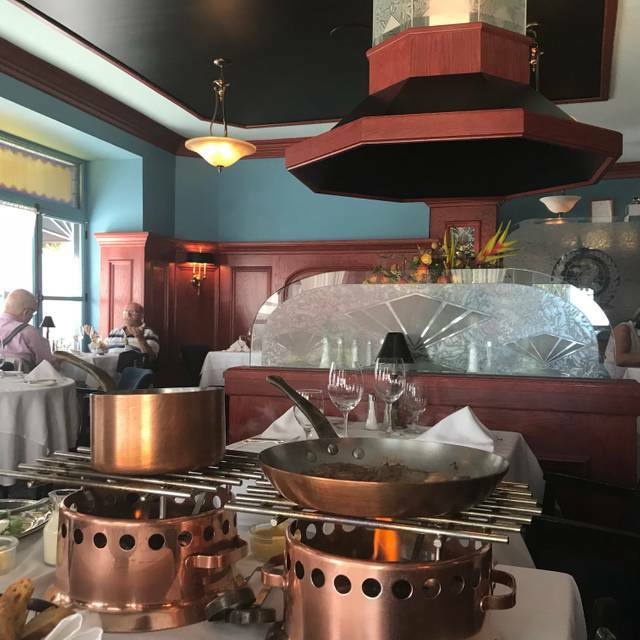 Service is professional and extremely proficient with just the right touch of aloofness that totally captures the quintessential French experience! If we are still married and still able, we will be back to celebrate our 40th...if not sooner! Enjoy! Both times we've eaten here the food was amazing and the service was great. I would highly recommend this restaurant for anyone visiting the city. Old school dining in the very best possible way. Table side cooking, classic French fare. The best of Quebec City! We had Christmas dinner here while visiting Quebec City. The chateaubriand was amazing. Service excellent, well paced, unhurried. Well worth the price! Make a reservation or you will be disappointed. This was our first visit to Le Continental and we will definitely go back. The food was amazing and the service outstanding. Loved the table side flambé experience.